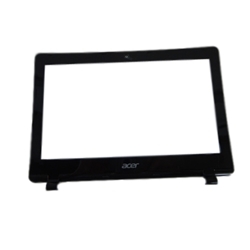 Description: New genuine Acer laptop black lcd front cover bezel. This bezel is for the non-touchscreen version only. If your laptop has a touchscreen, this is not the correct part. Compatible Part #'s: 60.MNUN7.033, EAZHJ003010-2.